As the New Year approaches, you may be thinking about your financial and health goals for the coming year. You might even be thinking about scheduling a physical with your doctor and a financial review with a financial planner. You may end up discussing your financial situation with your doctor since you could be experiencing stress related to your finances. But do you plan to discuss your exercise regimen with your financial planner? I suggest that you consider discussing your exercise regimen with your financial planner and go as far as to add an exercise goal to your financial plan. A 2014 Merrill Lynch study showed that most retirees considered health as the most important ingredient to a happy retirement. Financial security came in second. Further, Fidelity Investments reported that a couple retiring at age 65 will average about $260,000 in medical expenses over the course of their retirement. I believe that financial decisions made over the course of one’s lifetime have an impact on your financial success. These decisions also compound over time so that decisions made earlier in life have a large impact as you get older. Although I am not a doctor, I imagine that health decisions are much the same way. The earlier you take care of yourself, the better chance you have of being healthy as you get older. A US CDC 2015 National Health Interview Survey was released in early 2016. 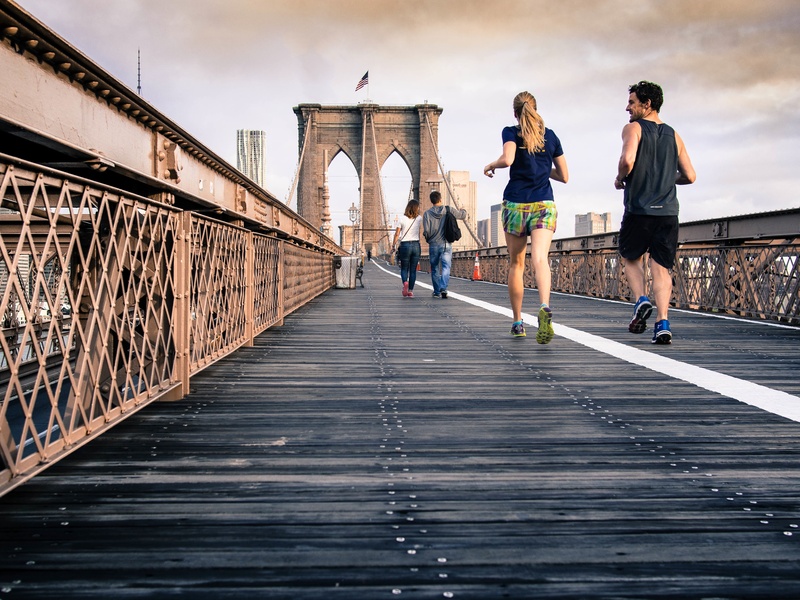 The survey found that only 21.4 percent of people 18 and older met the 2008 federal physical weekly activity guidelines of 150 minutes of moderate aerobic activity and two muscle strengthening sessions. The highest overall percentage was for the 18-24 age group at just under 30%. Ages 25-64 came in at 21.7%, ages 65-74 at 15.5%, ages 75 and older at 8.7%. The data indicates that we should be paying a bit more attention to our exercise during the year, especially when we are younger. Especially since overall health seems to play such an important role to enjoying ones retirement and keeping medical expenses in check as we age. Not to mention the impact better health might have in the aggregate on the overall medical costs for our country. There is also an interesting relationship between planning skills and your overall health and financial behavior. The insights come from a March 2016 Journal of Financial Planning paper authored by Barbara O’Neill, Jing Jian Xiao and Karen Ensle. The paper suggests that a person’s organizational and planning skills have a direct relationship to one’s overall health and financial behavior. The authors found that people who exhibited positive health behaviors also were more likely to show positive financial behaviors. They cite numerous studies showing the positive relationship between health and personal finance including higher 401(k) contributions, net worth, and earnings. The Mayo Clinic lists the following benefits of exercise on your health. The list provides some insight why better health can sometimes lead to a better financial situation. For example, more energy and an improved mood can make you more productive at work. Socializing while exercising might help you broaden your professional and personal networks. can be fun … and social! Given the relationship of exercise to health and your finances, you would think it would be easy to develop an exercise plan to meet the federal exercise guidelines. However, O’Neill, Xiao and Ensle acknowledge that “Planning behavior is not an inborn skill” with respect to health or financial matters. I am sure most people can relate to how hard it is to plan for and follow through with their goals. Of course, I recommend visiting with a financial planner to develop or update your financial goals for the coming year. Ask if they can help you strengthen your overall planning skills. Ideally, you will want to find someone who will help you develop goals and hold you accountable throughout the year. My challenge is to add the following goal to your financial plan. Complete 150 minutes of aerobic activity and two muscle strengthening sessions each week. Ask your financial planner to check in on your exercise goal periodically throughout the year just like your financial goals. You can even make it fun by holding your financial planner to the same exercise goal. You might discuss different ways to meet your objectives like joining a couch to 5k group, trying a yoga or kick boxing class, cross country skiing or other fun activities. Remember that while you are sweating, you will be working towards improving your financial fulfillment as much as your health. You might even have some fun and meet some new friends!